A stoneware jar with a compressed ovoid body, supported on a short, inverted foot, bulging out towards the short neck. The slightly domed cover terminates in a wavy rim. 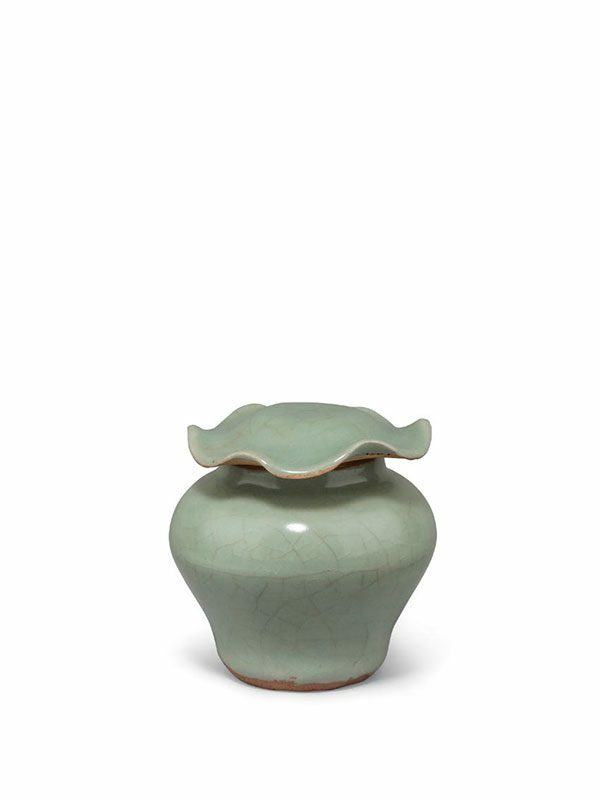 The interior and exterior of the jar are covered in a translucent celadon glaze of bluish green hue. The underside of the cover and the foot rim are unglazed and reveal the orange buff stoneware body.